A must go to spot for me everytime I visit Honolulu is Pa'ina Cafe in the Ward Warehouse. It's a few doors down from In4mation, Dig Lifestyles and Second Skin, and Pa'ina has poke bowls that I continue to crave when I head back home to Los Angeles. Pa'ina has a selection of delicious salads, sandwiches and entrees, but my favorite is the Hawaiian Bowl which is a combination of Kalua Pig, Lomi Salmon and your choice of Poke, and they offer brown rice as a healthy option. After picking your style of poke, (either shoyu, hot shoyu ahi, limu ahi, or spicy tuna), you can choose a choice of a wide array toppings including nori, furikake, natto, taegu, kim chee, green onion, and a lot more. There is always a line of people at Pa'ina, meaning it's seriously good eats, and it doesn't take long for them to prep your order so the wait isn't excruciating, and it's definitely worth the wait. Visitors to Honolulu, HI, and locals alike, love the Ward Centers. Composed of the Ward Centre, Ward Warehouse, and Ward Entertainment Complex, simply put; Ward is a great place to shop, eat and play. When I visit Hawaii, (and that's usually 4 times a year), I still love to get things that I can't get back in Cali. At Ward Centers there are many shops that sell goods unique to Hawaii, and that's the reason why so many people (including me) love shopping at Ward. This weekend, select businesses at Ward Centers are offering Exclusive Deals for attendees of the Hawaii Ocean Expo 2010 (H.O.E.). That means anyone who goes to the H.O.E. can get special discounts from choice Ward businesses starting February 27, 2010 until March 7, 2010. There's some great discounts on shopping and great deals at some of my favorite places to eat in Oahu. The Hawaii Ocean Expo 2010 (or as they call it, the H.O.E. ), is happening this weekend, February 27-28, 2010 at the Blaisdell Exhibition Hall in Honolulu. The H.O.E. focuses on all things related to the ocean; from surfing, boating, fishing, canoe paddling, surfing, stand-up paddle boarding, kayaking, swimming, SCUBA diving, sailboarding, skin diving, ocean apparel companies, and much more. There's amazing food for the family and also a Keiki zone, so kids will definitely be loving this area. If you have someone you love or care about, well, to put it plainly, Valentine's Day shouldn't be the only day that you think that you need to show them that you do, but regardless of my "preaching," it a nice thing that you're thinking of what great valentine's gifts you might be able to bestow on the your beloved one. Now if you've already filled your gift basket with expensive jewelry, chocolates, a dozen long stem roses, a designer handbag, here's an idea that you can spend quality time with your favorite person while pampering both you and them at the same time. Makana Academy in Honolulu, Hawaii, (near Ala Moana Shopping Center just behind Ward Centers), provides what they call "Gold Standard" education for aspiring Estheticians, meaning the the best teachers teaching the best students in a top quality facility. Makana Academy also provides Spa Services that allow you to spoil yourself without breaking your bank. Whether you already have a gift for Cupid Day or not, this deal from Makana Academy is one you won't want to miss. Whether you're a football fan or not, you know that Super Bowl Sunday is always a reason to party, eat lots of food and cheer on, well, in this case the New Orleans Saints or Indianapolis Colts. I remember going to a Super Bowl party in New York with my buddy Lloyd from Tokyo (originally from the Yay Area), walking into a private party with a bunch of "hipsters," toy designers, and the Beastie Boys with their families, feeling like a total party-crasher, and feeling 20 times worse as the whole party cheered drunkedly as the Buccaneers pounded the Raiders with the former Raider coach "Chuckie." Well, now that the Raiders are that much harder to cheer for, and the Chargers continue to unravel at the wrong moment, who cares! Just do like most people do, wait for the commercial breaks and half-time show while you stuff your face with food, and in this case, ZPizza if you're in Honolulu. $5 OFF ANY EXTRA LARGE "STANDARD" OR "CREATION" PIZZA! 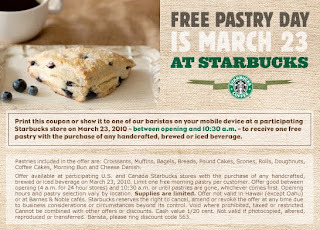 Valid only from 11am to 3pm on Sunday, February 7, 2010. Good for Extra Large "Standard or "Creation" pizza only. Eat-in, Pick-up or To-go orders only. Not valid with deliveries, any other coupon or discounts. Printed and mobile offers accepted. Valid only at ZPizza, Honolulu, Ward Center location. After I jump on an airplane and get settled in my seat, the first thing I usually do when they tell me to shut off my Iphone and "all electronic equipment" is reach into the seat pocket in front of me, hoping not to touch something gross and sticky, usually to find a strange illustration of what to do an emegency should my flight pummel into the ocean, or, to find a catalog of interestingly useless things to purchase, or of course, the inflight magazine. If you get your grubby little hands on an Innov8 magazine, you'll be happy to find a special "Local Buzz" page, that features some exclusive deals and discounts from local businesses including some of Hawaii's favorite restaurants, clothing boutiques, nightlife locations, spas, and much more. So pick up an Innov8 and get your "Free Drumstick" at Popeye's Chicken Hawaii, or get a hookup on your meal at the Mai Tai bar at the Royal Hawaiian Resort, or any of the many exclusive deals in the mag.